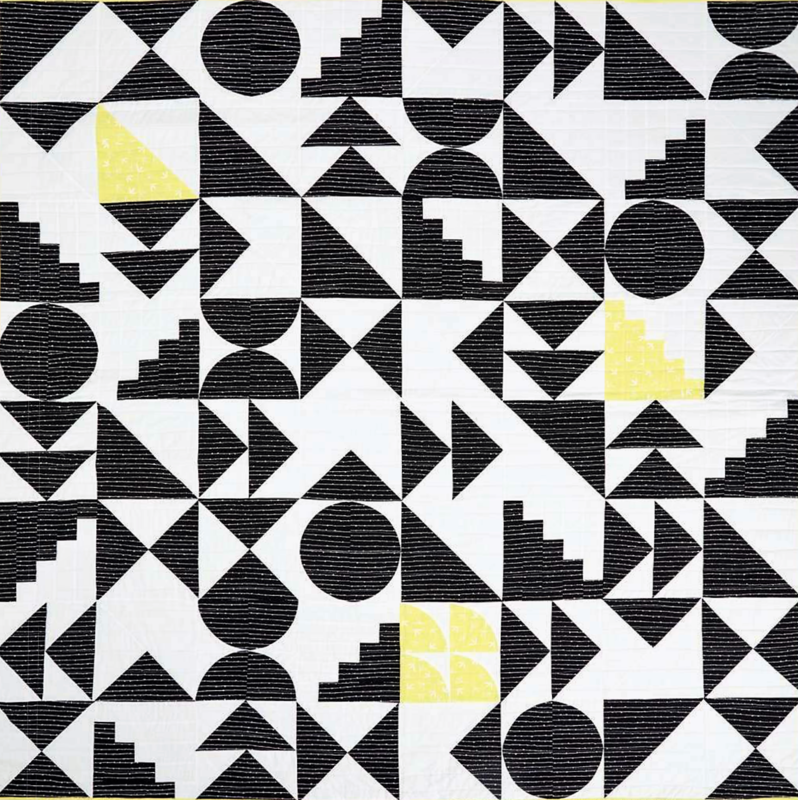 This quilt incorporates several blocks that make a great modern design with only three fabric choices. This class will teach you basic piecing used for Half Square and Quarter Square Triangles as well as Flying Geese, Strip Piecing, Curved Piecing, Proper Pressing techniques, and how to square up the blocks. We'll also get into making your rows and sewing them together. Wow, that's a lot for one day! But you will be glad you took it. Finished quilt size is 80" x 80". A border can be added for a larger version. 3 1/2 yards of black, 3 3/4 yard of white, Fat Quarter of an accent color of your choice, 3/4 Yard for Binding. Pattern is included with price of class.